With spring well underway, wildlife are busy taking care of their new offspring. 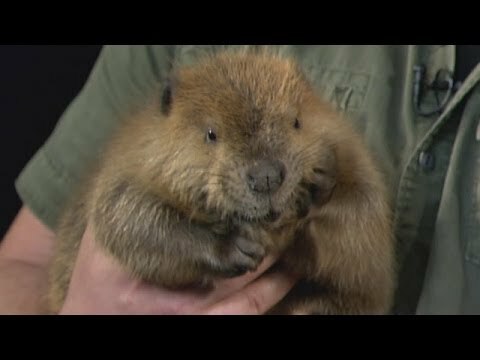 To celebrate, National Wildlife Federation Naturalist David Mizejewski brought adorable baby animals to the Wendy Williams Show. Wendy is normally nervous when it comes to animals, but even she couldn’t resist the cute Siberian lynx kittens! Though the kittens are small, they will grow to be more than 80 pounds and will have the ability to take down deer. David also brought a beaver kit (a young beaver), baby llama, vervet monkey, and an African warthog. The African warthog, Violet, was quite adventurous trotting around the set and foraging on her knees for grapes. David also made an appearance on Fox News to promote National Wildlife Federation’s Great American Backyard Campout. The Coleman Company sent their amazing Instadome tent, Nimbus warm weather sleeping bag, and aluminum deck chairs to complete the campout set. One of the fun things about backyard camping is the experience to encounter nocturnal wildlife. On this segment, David brought a beaver kit, a fox, and an eagle owl. Though the impressive eagle owl is native to Europe, American campers will be able to encounter American species like the great horned owl or barn owl during their campout. Watch the second segment below and take the pledge to campout with this year’s Great American Backyard Campout on June 28!